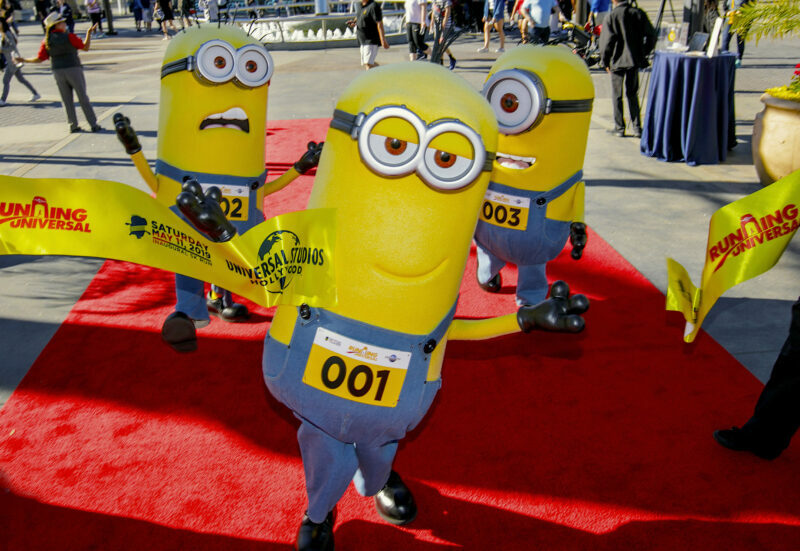 Join Stuart, Tim, and Tom in Universal Studios Hollywood‘s 5K Minion Run, which is the first event in the theme park’s Running Universal™ series that starts Saturday, May 11. The inaugural Minion Run will feature beloved Minions from the “Despicable Me Minion Mayhem” ride, and guests ages five and older (regardless of experience level) can participate! The running route will take participants around Universal Studios Hollywood and through parts of the park’s historic backlot, featured in more than 8,000 movies and television shows. Also, the notorious Psycho House, the eerie War of the Worlds set and the colorful Who-ville backdrop from Dr. Seuss’ How the Grinch Stole Christmas will be highlighted along the way. Register here for the event, while slots are still available. And watch Stuart, Tim, and Tom get in top shape for the Minion Run below!